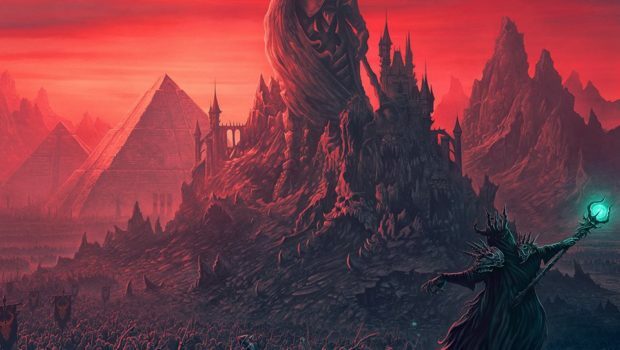 Published on January 31st, 2019 | by Justin G.
Power metal cheeselords Gloryhammer have revealed the title and cover art for their upcoming third album. Rejoice, fellow nerds! Mighty warriors of the galaxy! 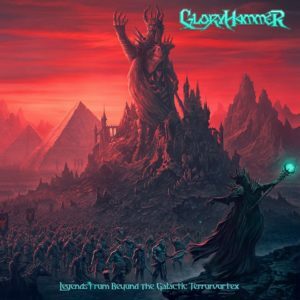 It is time to announce the next chapter in the eternal saga of Gloryhammer, entitled Legends From Beyond the Galactic Terrorvortex. The spies of Emperor Zargothrax are everywhere, and so we have spent the last month recording our 3rd album in complete secrecy in an undisclosed location in the highlands of Scotland. But the quest has been completed, and our fate now lies in the hands of esteemed record producer Lasse Lammert. With the holy power of the Hootsman on our side, we anticipate the album will be released sometime in the late Spring of 2019. More details will be revealed in the coming weeks and months…stay alert! FOR THE ETERNAL GLORY OF DUNDEE! 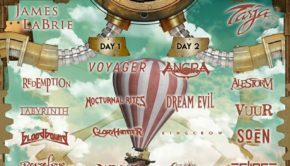 Battle Beast: No More Hollywood Endings (Nuclear Blast, 2019)	April 12th | by Justin G.
Pretty Maids: Blast From The Past (Frontiers, 2019)	March 27th | by Justin G.
Anthem: Nucleus (Nuclear Blast/Golden Robot, 2019)	March 27th | by Justin G.
Seven Hard Years: No Going Back: (Lion’s Pride, 2019)	March 20th | by Justin G.
Herman Frank: Fight the Fear (AFM, 2019)	March 20th | by Justin G.
Wimpsandposers.com is a site for metal fans who want to be true as steel but like way too many wimpy AOR bands. It's OK, you're still a warrior, and you're among friends. Swords and keytars forever!